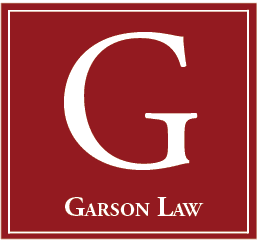 Taylor Hicks is an Associate Attorney at Garson Law, focusing her practice on real estate, construction and business law. Taylor graduated from the University of South Carolina School of Law. 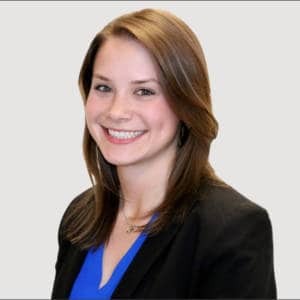 While in law school, Taylor clerked at the Lexington County Solicitor’s Office and 5 Star Life Insurance Company. Prior to law school, Taylor graduated from Miami University. Taylor periodically performs pro bono work for Manna Food Bank, reviewing contracts and giving written recommendations. 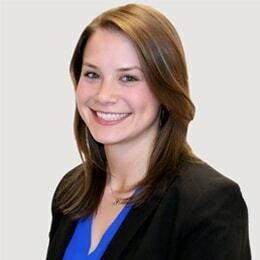 In addition to her pro bono work, Taylor is a member of the Montgomery County Bar Association, the Maryland State Bar Association Young Lawyers Section and the Montgomery County Women’s Bar Association.